CN: Self harm, suicide, transphobia, violence, dysphoria. For the last couple of weeks I’ve been perfectly content; throwing on a long brown wig over the top of my own incredibly short black hair, meticulously applying eyeliner, wedging myself into a pair of tight spandex shorts and diving into my favorite gaudy pastel dresses. Despite initial appearances, I’ve never been someone you consider to be particularly “feminine”. In my teens I was always somewhat of a trouble maker; getting into physical fights, underage drinking and smoking, taking dubious substances with dubious people. I was also somewhat of a lecherous lesbian (to clarify, I don’t believe all lesbians are lecherous but I, incredibly shamefully, was). 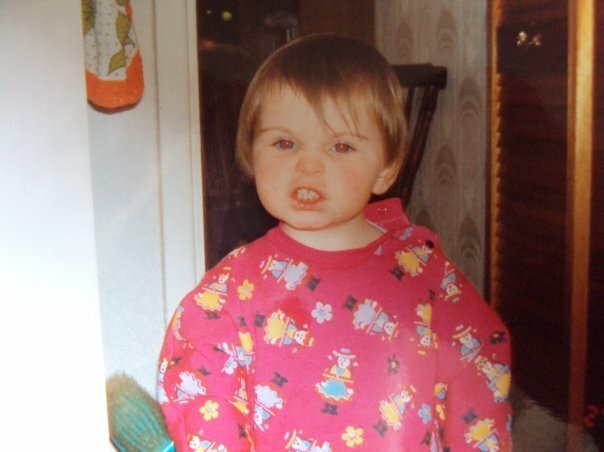 Image: Payton as a small child with blonde hair and light skin wearing a pink jumper with multi-coloured patterns on. They are pulling a ‘fierce’ expression, bearing their teeth to the camera. 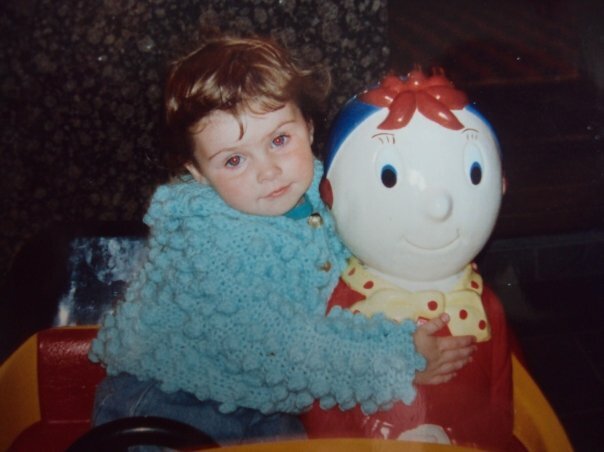 Image: Payton as a small child again, this time wearing a blue jumper with bobbles on it and denim jeans, sitting in a plastic toy car with the character Noddy, who they are hugging. 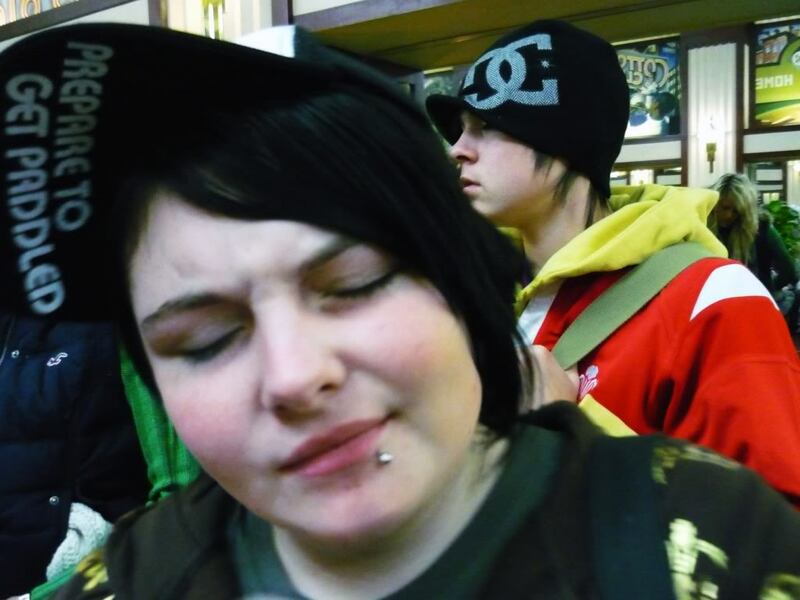 Image: An older Payton in a crowd of people, with short black hair swept to one side under a black cap and a side lip piercing. They have their eyes closed and their head tilted to one side. 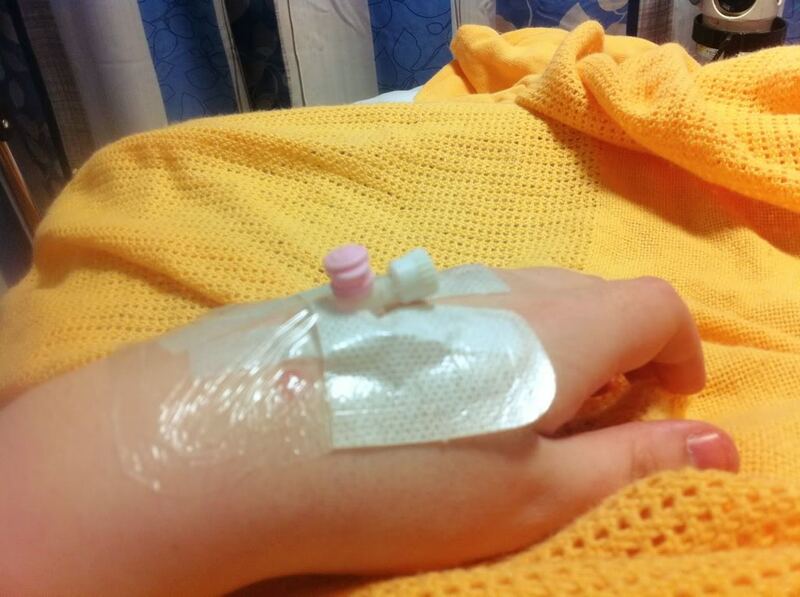 Image: Payton’s hand with an IV cannula in, on top of yellow blankets. It wasn’t until late in 2013 that I started to find myself again. A whole five years, three jobs, two relationships, four homes, one abortion and six suicide attempts later and I was ready to start accepting that part of me. My partner at the time, also my current partner now, embraced whatever identity I was struggling with without hesitation, always there to support me when I shrugged it off again like an ill-fitting winter coat. 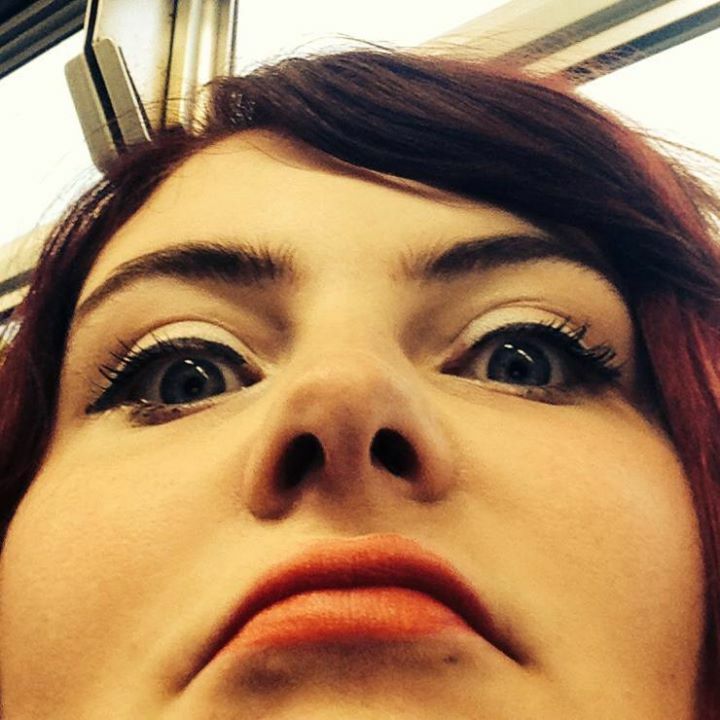 Image: A photo of Payton shot from below, just showing their face. They have burgundy hair, terracotta lipstick and eye makeup on. 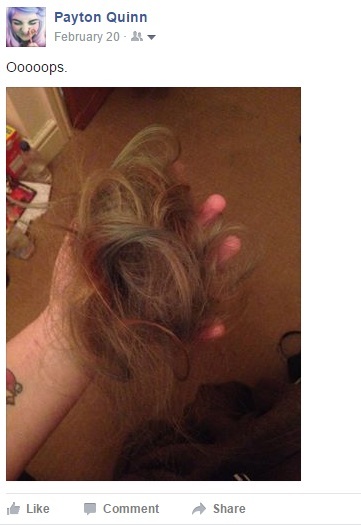 Image: A screenshot of Payton’s Facebook post, showing a mass of their cut off hair in their hand, and their floor below. Everyone has been so kind and thoughtful towards me as I slowly addressed my gender with friends (who have adjusted very quickly to it) and family (who are mostly baffled but supportive, bless ’em) that I’ve felt more loved than I even have before. This is who I am and I’m still accepted (not that there was ever any doubts, of course, I choose my friends much more wisely nowadays). Image: Three photos of Payton in different presentations. The far left is them wearing a check grey and white shirt with short hair, raising their eyebrow at the camera. The second is them with black hair to the side, in eye makeup, lipstick, a red bowtie and a white shirt, and the far right is them with long red hair and a flower crown.